Blocks annoying ambient light and helps you position your eye for better observing. 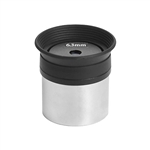 Especially important for wide-field eyepieces. 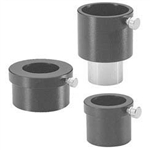 Allows you to use .965" eyepieces in any 1. 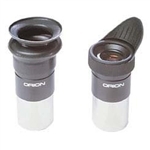 Lets you use 1.25" eyepieces with telescopes that normally require . 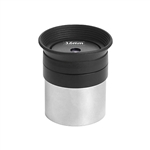 20mm focal length eyepiece provides moderately magnified views of the cosmos, great for observing bright deep sky objects, the Moon, bright planets, and more! 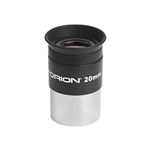 Our Orion 20mm E-Series Telescope Eyepiece is a perfect choice for beginning astronomers looking for an affordable, yet performance packed eyepiece to add to their collection of telescope oculars. 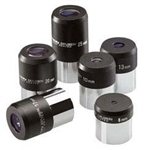 The cost of accessories for your telescope can really add up, especially if you're just starting out, or you want several eyepieces of different focal lengths. Not everyone wants to drop $100 or even $50 per eyepiece.